After approval from Prime Minister Right Honorable Dean Barrow and his Cabinet on Tuesday, October 11th, the Ministry of Economic Development, Petroleum and Geology Department will be conducting a multi-beam and sea seep survey to the east of the Belize Barrier Reef. These surveys are meant to collect new data on the geological features of the area, and other countries such as the United States and Mexico will also be participating. Although the Ministry states that tourist destinations, along with world heritage sites will be excluded from the survey, Oceana in Belize and the Belize Coalition is in opposition to seismic testing. In a press release issued on Wednesday, October 12th, Oceana states that conducting these surveys will not only have a significant impact on the environment, but it poses an unacceptable risk of serious harm to marine life, including noise pollution and decreased reproduction rates. “The magnitude of the proposed seismic activity is likely to have significant, long-lasting, and widespread environmental and economic impacts for Belize. 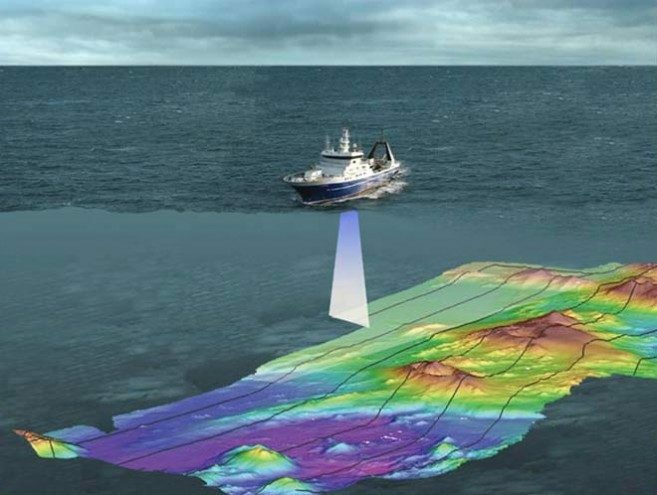 Seismic testing, the first step in oil and gas development, is an extremely loud and dangerous process used to search for oil and gas deposits deep below the ocean floor. The impact on marine mammals from such testing is significant. It disrupts mating and feeding habits, causes abandonment of habitat and temporary and permanent hearing loss, among other issues. It will adversely impact the fishing and tourist industries,” explained Oceana. Since the Department of Environment (DOE) stated that seismic survey does not require an Environmental Impact Assessment (EIA), both Oceana and the Belize Coalition to Save Our National Heritage formally requested an official copy of the DOE’s written position provided to Cabinet, along with related materials. According to the Coalition Officer Jacinta Gomez, the Government of Belize (GOB) has not responded to their letter expressing their requests and concerns. “We have not received a response to that letter. We also have been advised that based on the DOE’s advice that an EIA was not required, and understand that only an Environmental Compliance Plan (ECP) and the presence of an officer on the vessel is being recommended by the DOE. We are therefore requesting an official copy of this position and any related information on which this conclusion is based on. We are also asking to be provided with a copy of the ECP from the company. Additionally, we remind you of the relevant document requested in the above mentioned letter,” said Gomez. Ocean further stated that the GOB must ensure that tourism and fishing related jobs are protected; that an effective emergency response capacity is in place; that special places are safe from hazards; and that the GOB has provided full, fair and public accounting, including the inherent risks involved with the oil industry, to the Belizean people. Both Oceana Belize and Belize Coalition remain on the terms that the GOB should halt this harmful activity before it is conducted.